Tennessee is the epicenter of the bass fishing world right now, with the Bassmaster Classic coming to Knoxville in March, and according to state biologists it is staged to deliver. Downstream around Chattanooga, Chickamauga continues to produce some of the best largemouth fishing on the planet, and over on the western end of the state Pickwick is fishing lights out. With the exception of an Asian carp invasion on the venerable Tennessee River reservoirs in the northwestern corner of the state, things are looking very good for the short- and long-term future of bass fishing in Tennessee. The traditional smallmouth reservoirs like Tim’s Ford and Dale Hollow continue to provide excellent numbers and size. It’s a good time to be a bass fisherman in Tennessee. By region, here’s a look at what anglers can expect heading into spring. Things are not so rosy in northwest Tennessee, where TWRA biologist Michael Clark said his job has become more about battling invasive Asian carp than managing game fish. The reports from carp-infested Kentucky Lake are not great. Many anglers are blaming carp for mediocre bass fishing on a lake that offered exceptional fishing just a few years ago. Carp can disrupt the food chain and temporarily displace game fish, but Clark said the cyclical nature of fisheries might have more to do with a bass-fishing downswing than carp. Tim Broadbent, fisheries program manager for Region I, said that for 10 of the last 13 years, both Kentucky and nearby Barkley Lake had a lot of aquatic vegetation, a lot of fish and great fishing. He thinks the recent decline is in tune with what these reservoirs showed historically, before the boom of the last decade. Clark said sampling from these two Tennessee River lakes indicate declines, as does sampling over on Reelfoot, which also has a carp problem. 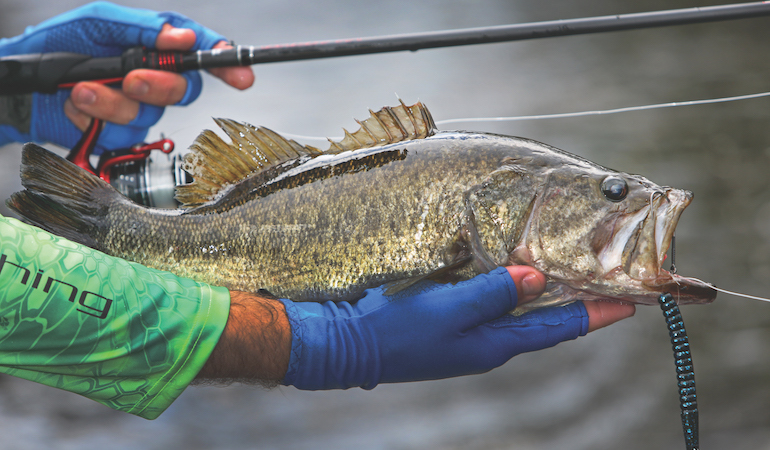 But bass populations in all three lakes appear to be holding their own, especially on Barkley, which had better numbers than Kentucky during the spring 2018 surveys. Bass fishing on the northern end of the region should be decent in 2019, just not as good as it was during the heyday of the last decade. And things might be looking up for Kentucky Lake, where TWRA has been stocking about 100,000 Florida bass a year since 2015. Clark said they are putting them in the Harmon, Blue and Eagle creek embayments and is optimistic about long-term benefits for those areas. TWRA is also doing everything it can to control Asian carp. A new spillway at Reelfoot has been constructed to keep additional carp from entering the reservoir. Carp bowfishing tournaments are on the horizon. The state will begin subsidizing commercial harvest of Asian carp, and TWRA is seeking federal funding. Clark encouraged everyone to be patient and to eat invasive carp. Things look a lot better farther south on the Tennessee River, where Pickwick is fishing very well for largemouth and even better for smallmouth. With abundant shad to feed the game fish and good vegetation, Clark said TWRA has seen healthy populations and all age classes of smallmouth and largemouth bass in Pickwick surveys. His forecast for the reservoir is bullish for years to come. Clark also pointed to Huntingdon and the Carroll County Thousand Acre Recreation Lake for anglers who want a shot at a truly giant bass in a smaller setting. The lake offers every type of habitat an angler could care to fish, and according to tournament data it holds some big largemouth bass. It yields pretty good numbers of fish heavier than 8 pounds every year and occasionally produces giants, like the 14-plus-pound monster caught in a high school tournament this past summer. 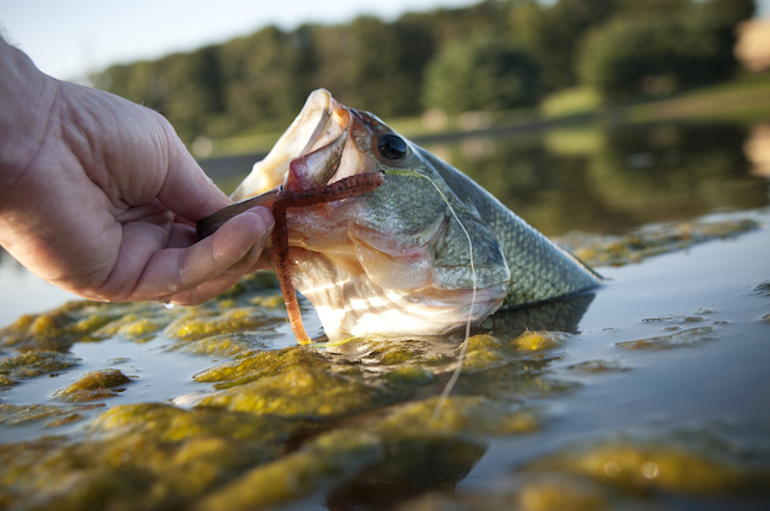 Todd St. John, fisheries program manager for middle Tennessee’s Region II, said strong year classes from three and four years ago in both the Cumberland system lakes and the reservoirs on the southern end of the region should produce good bass fishing this year. Smallmouth anglers have reason to get excited about Tim’s Ford right now. While nearby Woods Reservoir is a best-bet for good largemouth bass, Tim’s Ford is always loaded with smallies. Most years, bronzebacks move up on the points in late winter. This prespawn behavior sees them feeding up through early spring and provides some of the best fishing of the year. St. John is particularly optimistic about this spring because of what TWRA saw in its sampling—an abundance of 9- and 10-year-old fish. These are fish 20 inches and longer, which tip the scales from 3 to 5 pounds. For largemouth and smallmouth bass, Percy Priest has always been a headliner in the Nashville area of the Cumberland River drainage. St. John said it is always good, but he also pointed west to Cheatham Lake, where anglers are catching some big largemouth. All three of these lakes boast good catch rates, and St. John said Cheatham shows out in spring when its trophy-sized largemouth enter the stages of the spawn. They push into the shallows of the lower-end creeks. St. John mentioned Johnson, Marrowbone and Brush creeks as good places to chuck buzzbaits, spinnerbaits and swimbaits from April until June. For those who prefer smaller water, the TWRA-owned Williamsport Lakes in Maury County are a good option for big bass. The area has four lakes from 25 to 80 acres. And while easy access and a kids’-only lake make it family friendly, there are also some serious bass for serious anglers, whether they’re fishing from bass boats, kayaks or the bank. TWRA has stocked Florida-strain bass in the Williamsport Lakes since it acquired the property in the mid-1990s. The lakes see a good deal of fishing pressure, but they are trophy managed with a one-fish-per-day, 20-inch minimum length limit. Florida bass turned Chickamauga Lake into a monster bass factory. So why hasn’t the state started dumping them into every reservoir from Johnson City to Memphis? The answer: It’s more complicated than that. Chickamauga was selected as the original test subject for the program in 2000 because it offered optimal conditions in terms of forage, habitat and water temperature. Nearly two decades later, the experiment appears to be a home run. In 2015, Florida bass stockings were expanded to include Fort Loudoun, Herb Parsons, Kentucky Lake, Nickajack and Watts Bar. Test results from an ongoing Tennessee Tech genetics study will be very interesting, because Loudoun, Kentucky and Watts Bar all exist north of the zone determined by TWRA to provide suitable water temperatures. And the long-term influence of Florida genetics is also up in the air. Florida bass grow bigger and faster, but they are not as aggressive as native northern largemouth bass. The gold standard is the F1, the first-generation hybrid, which exhibits the best of characteristics of both. The backcrosses—the subsequent generations beyond the F1—are the question mark. There is concern they could produce an inferior fish ill-suited to the habitat. So far the backcrosses on Chickamauga are growing at least as well as northerns. Now, all anglers can do is wait and see. It’ll be at least another four years before the experiment yields results that can be used to steer future management. Where would Region III fisheries biologist Mike Jolley go fishing tomorrow? That’s a no-brainer: Chickamauga. Making headlines with the 15-pound, 3-ounce state record in 2015 and producing multiple 40-pound tournament sacks each year, Chickamauga Lake is arguably the best bass fishery in the nation right now. Jolley said fishing should remain strong for the future. Surveys and tournament reports from Chickamauga have been outstanding and included lots of 10-pound-plus fish. What anglers are seeing now is exactly what TWRA hoped for when it chose the lake as its test subject to stock Florida-strain largemouth bass in 2000. And there’s more good news for Region III; with Chickamauga’s success, TWRA started pumping Florida bass into Nickajack and Watts Bar in 2015. It will take a few more years, but Jolley said he hopes for similar results from these two Tennessee River reservoirs. Even now, Nickajack is a strong largemouth fishery, and it doesn’t see the same crowds a national spotlight has brought to Chickamauga. Largemouth anglers on the northwestern side of Region III should check out Cordell Hull this year. Jolley said the aquatic vegetation has been looking good there, which equates to strong year-classes of bass. Region III smallmouth fishing is best up on the Cumberland Plateau. Dale Hollow has held the smallmouth world record of 11 pounds, 15 ounces since 1955. Although it’s unlikely that record will fall in 2019, Jolley said the 16- to 21-inch protected length range (PLR) on Dale Hollow helps the fishery pump out a lot of quality smallies. “Those fish within that range right there are doing really good,” he said. For fishing of similar quality for smallmouth bass, Jolley said Center Hill is another good option this spring. The only concerns Jolley expressed involved spotted bass. The native spots in the Tennessee River reservoirs, aka Kentucky spotted bass, have seen a population crash over the last decade. Once a mainstay for anglers seeking fast action from aggressive fish, spots have dropped off the radar. Jolley hypothesized low spring lake levels might be disrupting the spawn. At the same time, there is a danger: Non-native Alabama bass, sometimes called Alabama spots, will invade Tennessee fisheries the same way they did in some Georgia reservoirs that once had excellent smallmouth and largemouth fishing. The invasion commenced in southeast Tennessee on Parksville Lake. Alabama bass started showing up on this mountainous impoundment of the Ocoee River in 2001. Alabama bass now make up a majority in the overall black bass population at Parksville. The scary thing is, the Ocoee feeds the Hiwassee River, which eventually feeds the Tennessee River at Chickamauga Lake. TWRA is encouraging anglers to fight the invasion with no limit on Alabama bass at Parksville. There’s a lot of buzz in east Tennessee’s Region IV. With the Bassmaster Classic coming to Knoxville, the eyes of the bass-fishing world are on the 55-mile stretch of the Tennessee River that includes Fort Loudoun and Tellico lakes. Over the last three years, Tennessee stocked an average of 100,000 Florida bass fingerlings per year into Loudoun, and will continue to do so. If this influx of Florida genetics works out like it has for Chickamauga downstream, the future looks bright. In the meantime, Douglas Lake in Jefferson County probably remains the region’s premier largemouth fishery. Even without special regulations to protect them, largemouth bass in this French Broad reservoir consistently thrive in nutrient-rich environs. While Douglas is more of a numbers lake, with scads of 16- and 17-inch largemouth bass, Carter said anglers catch 6- and 7-pound bass pretty regularly. Just to the north of Douglas, Cherokee Lake might be considered the region’s headlining smallmouth fishery right now. When the Elite Series visited this South Holston impoundment in February of 2017, local pro Jacob Wheeler, of Harrison, Tenn., won the event with 69 pounds, 13 ounces over four days of fishing. That’s a 3.5-pound-per-fish average, and it’s pretty strong. Carter said Cherokee continues to produce the same fishing it did in 2017. TWRA has seen very good numbers of smallies in the 15- to 18-inch range, as well as some bigger ones. Tournament sacks of 18 to 19 pounds are a regular occurrence. Deep and clear, Norris Lake is another great option for brown bass, and Carter said it is experiencing an upward trend. Back in 2010, a seasonal slot limit was initiated for smallmouth bass on multiple Tennessee reservoirs to protect fish during the heat of summer. Carter said it seems to have helped on Norris. Nearly a decade later, the regulations have been loosened, but anglers who keep fish are limited to 1 smallmouth per day June 1-Oct. 10, and it must be 20 inches or longer. Fishing from a kayak, canoe or jonboat? Upstream of Cherokee Lake on the Holston River, there’s a little 400-acre impoundment called John Sevier Reservoir. It should be primed to produce some big largemouth bass over the next several months.